that the first Thanksgiving was actually a three-day celebration? In November 1621, after the Pilgrims’ first corn harvest proved successful, Governor William Bradford organized a celebratory feast and invited a group of the fledgling colony’s Native American allies. The festival lasted for three days. They ate deer and other wildlife but had no cakes, pies or desserts. But the neatest party about this is that it was actually going to be a fast, not a feast. The decision to switch over to eating was made when the Native Americans showed up with the deer. that Turkey wasn’t served at the first Thanksgiving? Lobster, rabbit, chicken, fish, squashes, beans, chestnuts, hickory nuts, onions, leeks, dried fruits, maple syrup and honey, radishes, cabbage, carrots, eggs, and goat cheese are thought to have made up the first Thanksgiving feast. that Thanksgiving is the reason for TV dinners? In 1953, Swanson had so much extra turkey (260 tons) a salesman said they should package it onto aluminum trays with other sides like sweet potatoes — and the first TV dinner was born! that in 1863, Abraham Lincoln decided that Thanksgiving would be the fourth Thursday in November? 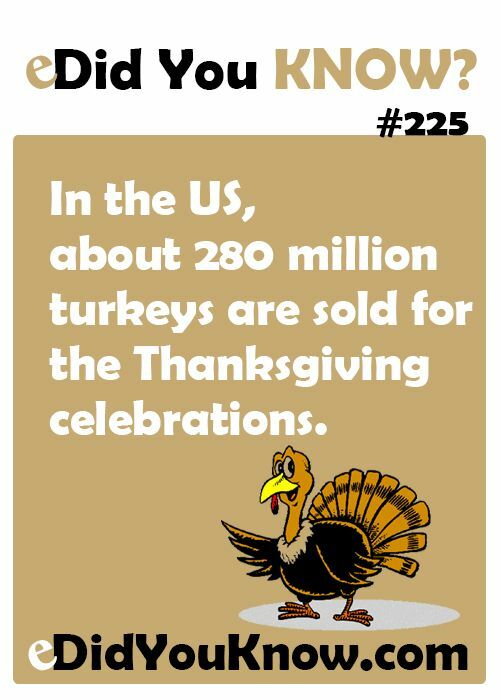 And it wasn’t until 1941 that Thanksgiving was declared a national holiday. that only male turkeys, called toms, gobble? Females, called hens, cackle. that in 2013, a calendrical quirk brought the first day of Hanukkah and Thanksgiving together for the first time since 1888? Scientists said this won’t occur again for another 70,000 years, give or take a millennium. that the heaviest turkey ever raised was 86 pounds? 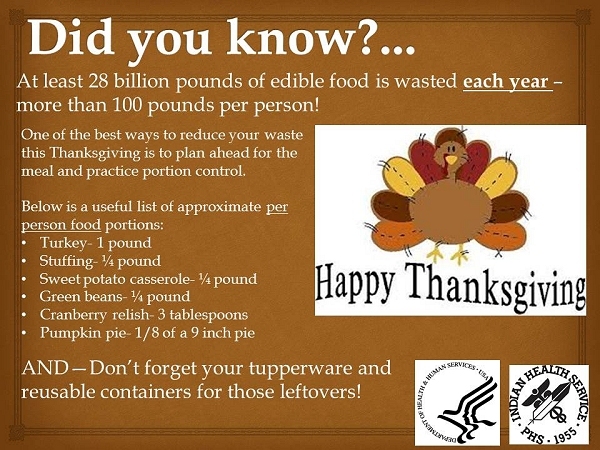 The average weight of a turkey purchased for Thanksgiving gets to about 15 pounds. that Turducken, a turkey stuffed with a duck stuffed with a chicken, is becoming more popular in Thanksgiving? It originated in Louisiana. A Turducken is a de-boned turkey stuffed with a de-boned duck, which itself is stuffed with a small de-boned chicken. The cavity of the chicken and the rest of the gaps are filled with, at the very least, a highly seasoned breadcrumb mixture. that there were no forks at the first Thanksgiving? All the food was eaten with knives, spoons … and … get ready for it ABDLers! … their fingers! that Black Friday is the busiest day of the year for plumbers? Thanks to all that food we gobble up on Thanksgiving, Roto-Rooter reports that kitchen drains, garbage disposals, and yes, toilets, require more attention the day after Thanksgiving than any other day of the year. If they would just have been wearing diapers, a great deal of the problems would never happen. Just sayin’.